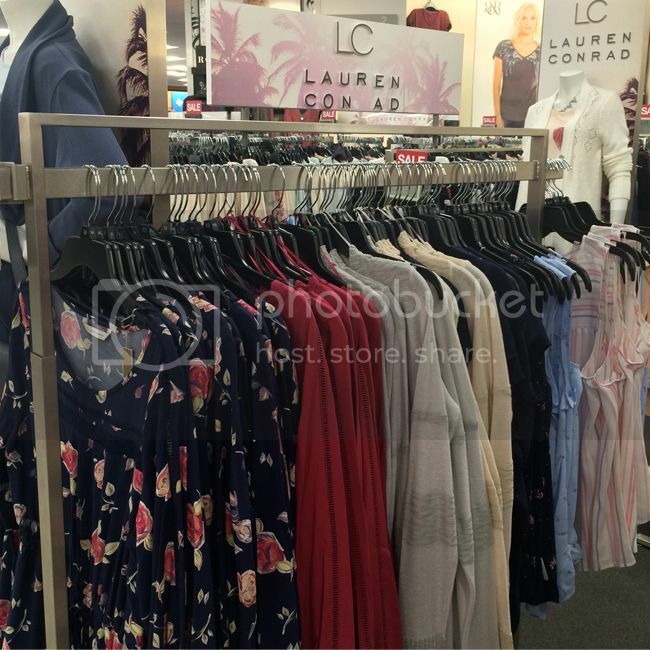 While it's just starting to feel like winter in California, there are plenty of colorful new spring arrivals by LC Lauren Conrad at Kohl's. I might not be ready to dress for spring, but I am definitely ready to start planning my spring wardrobe. Floral blouses, I'm looking at you! 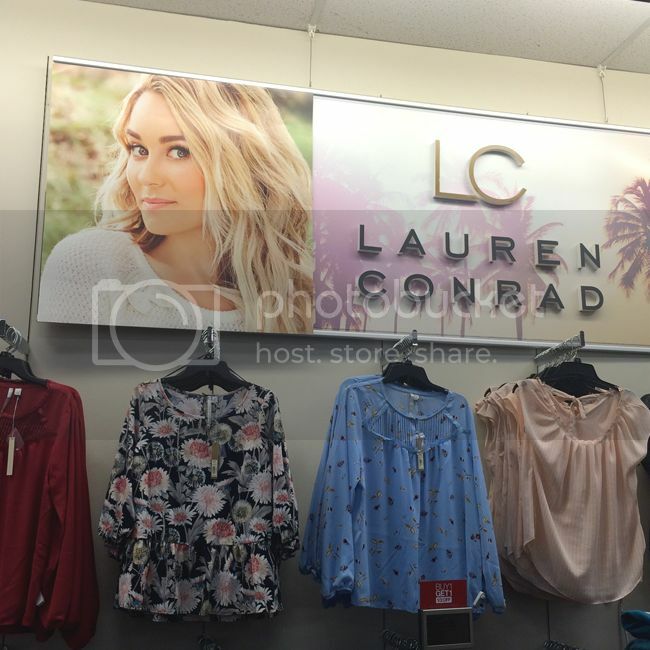 True to the feminine and polished vibe of the LC Lauren Conrad brand, the latest offerings for spring 2016 are heavy on floral prints, muted colors, and floaty silhouettes. 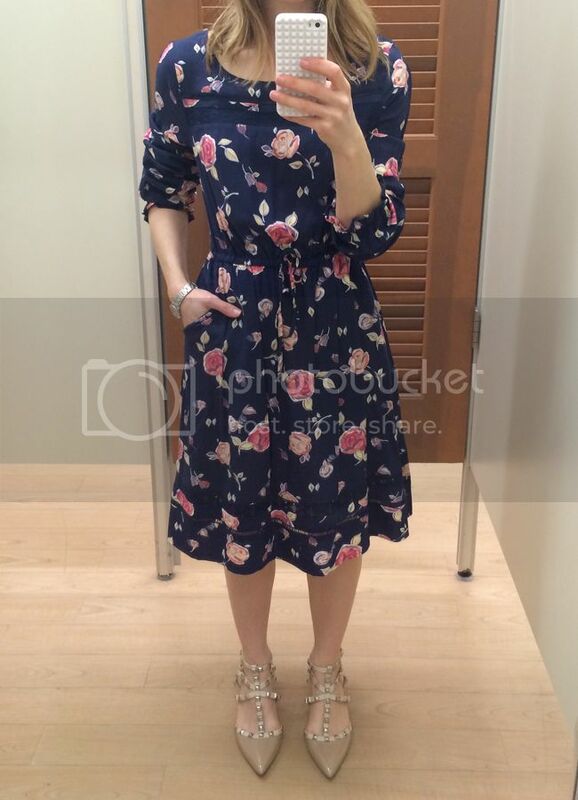 I picked out a few of my favorite pieces to style for this fitting room review. 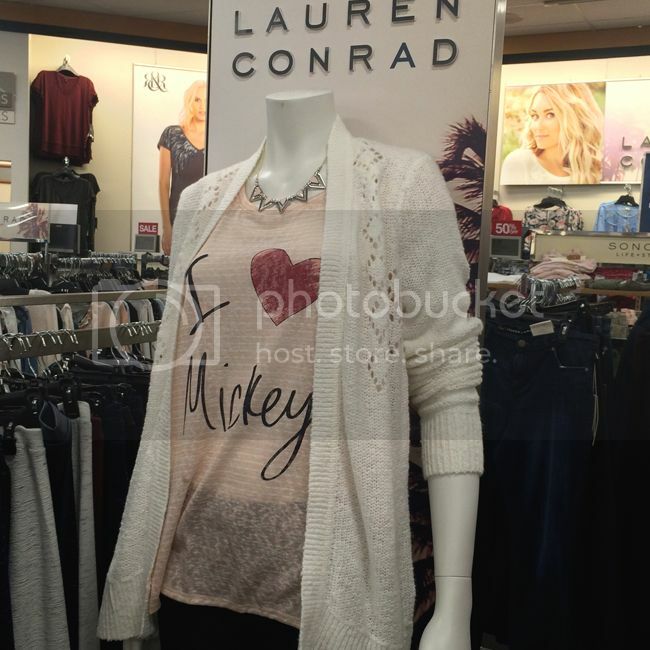 But first, here's a peek at the new merchandise. 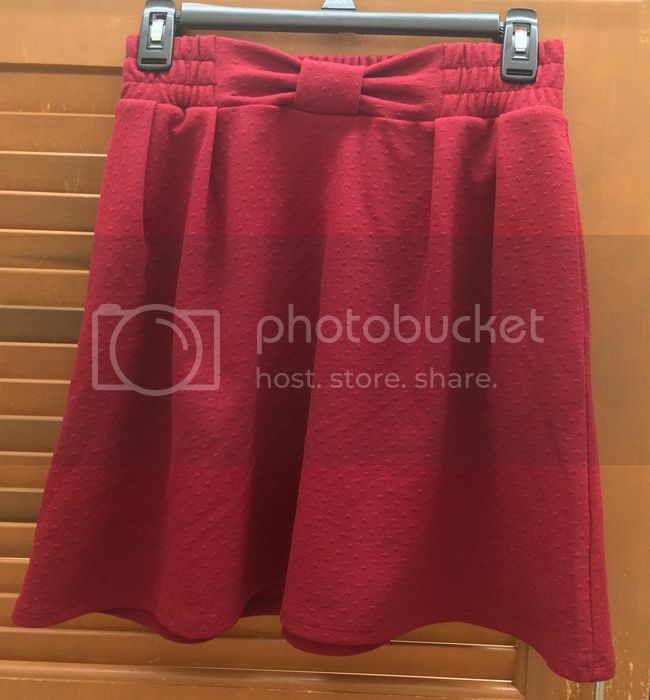 Above, I styled the pleated blouse with the bow skirt. 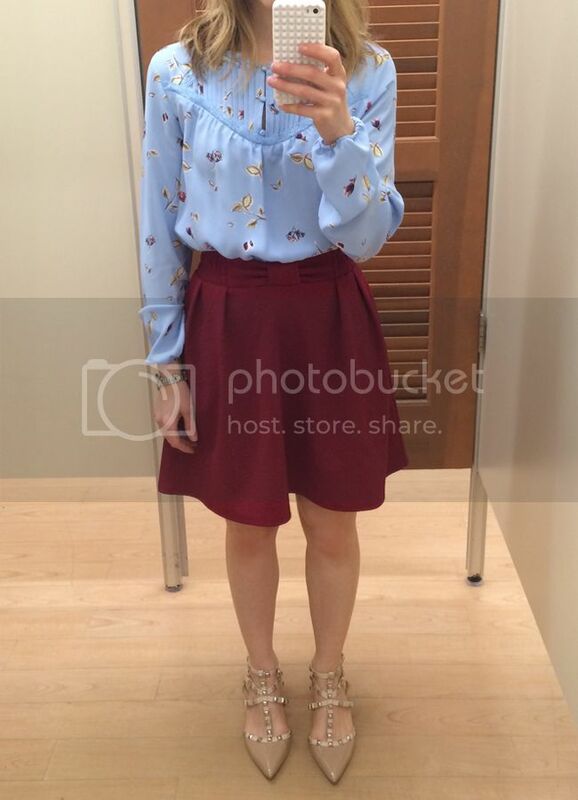 The blouse was slightly tight in the shoulder area, and the skirt runs true to size. 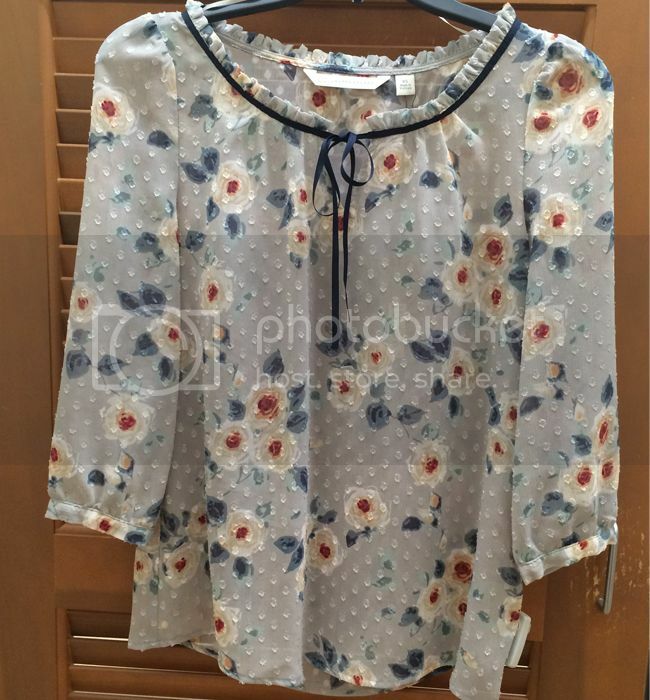 I noticed that unlike many of the LC blouses, this one wasn't slightly sheer. Hooray! Note the pleated yoke on the blouse, the cute bow detail on the skirt's waistband, and the textural dot detail. 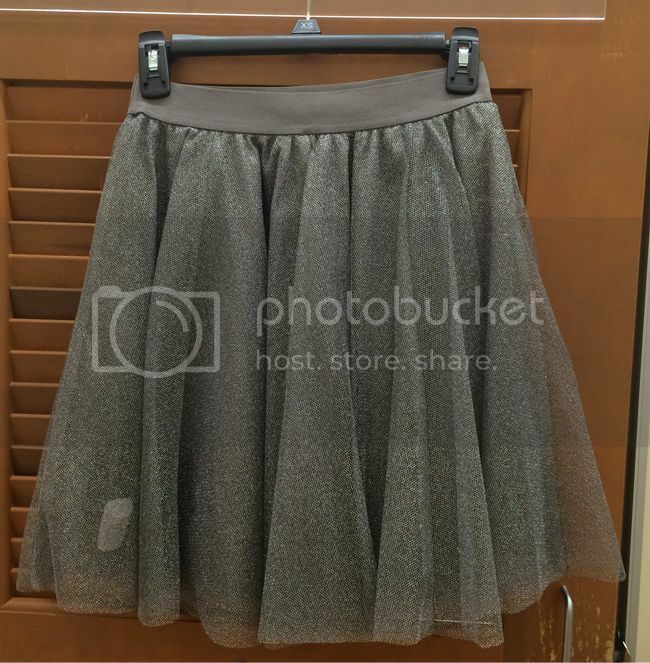 Bonus points for the pockets in this skirt. Both pieces felt hefty enough to work with layers for colder days or without layers for early spring. 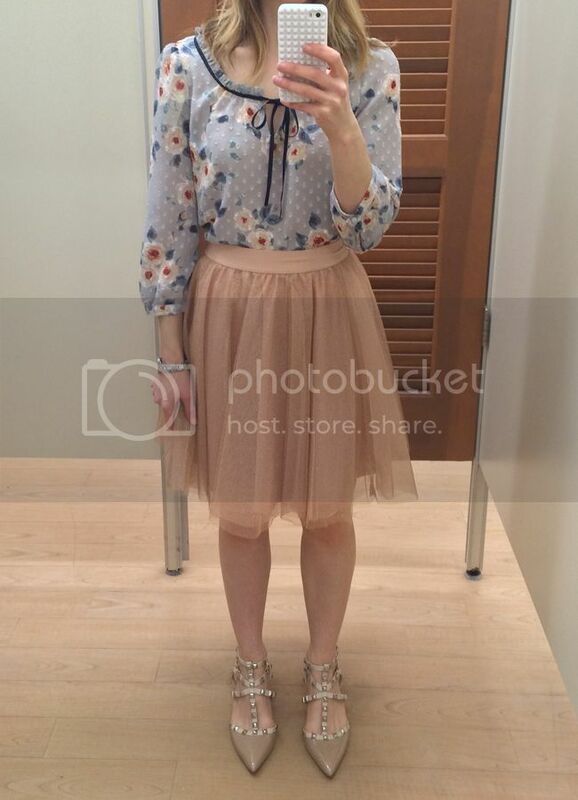 Here's the clip-dot chiffon top with the tulle skater skirt. 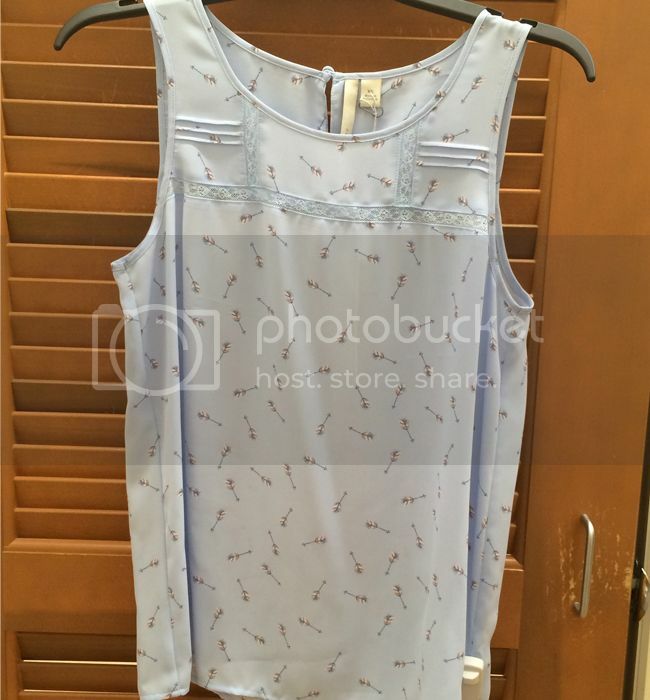 The top has an easy fit and is slightly sheer. It runs true to size. The skirt was a surprise hit. It comes in many colors, including black, ivory, navy, rose, and grey. It has a slight shimmer and super stretchy waistband. 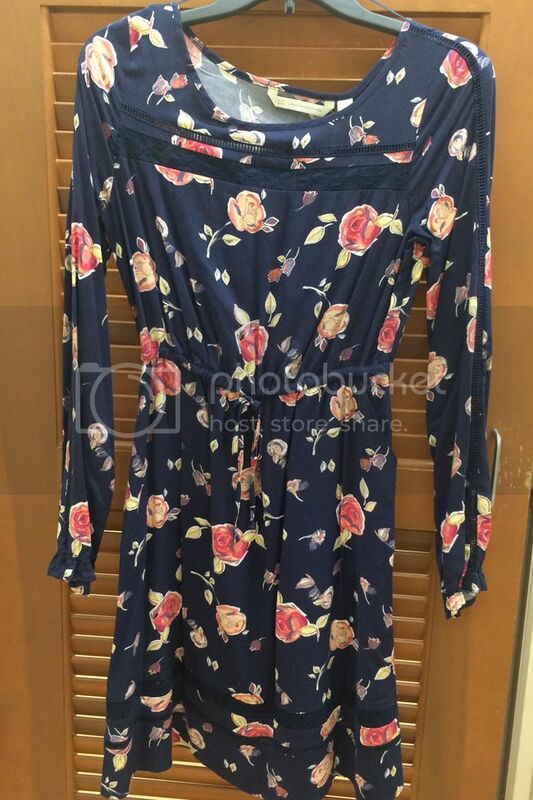 It runs slightly small in the waist. Both pieces are comfortable, and I love the soft color palette. 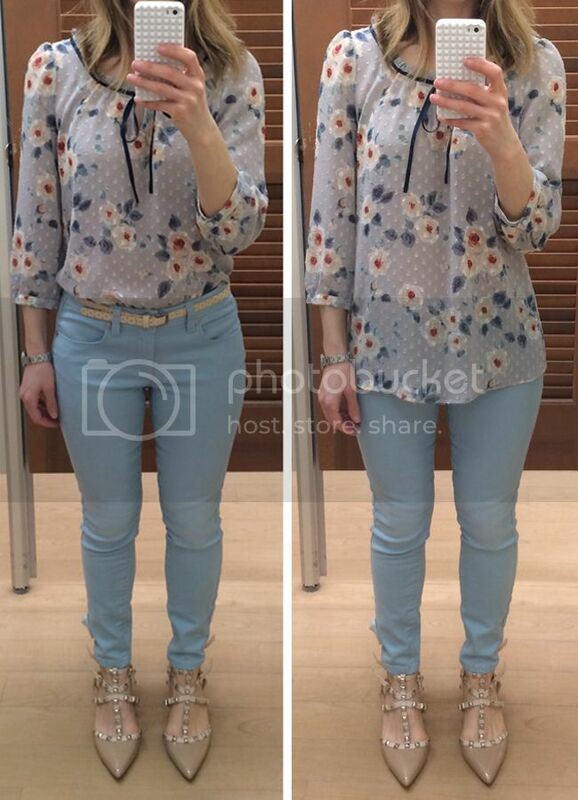 To play off of the blue hues, I paired the chiffon top with the skinny ankle jeans tucked in and left loose. The jeans (available in four colors) come with a polka dot belt that I didn't love. I did love the soft fabric, slight stretch, mid rise, and cropped 26" length of the jeans. The ruffle shift dress has an elastic waist, side pockets, and elastic cuffs. I liked the fit, the dark print, and medium weight of the fabric. The length was slightly below the knee on me and the sleeves were too long so I pushed them up. This is a classic, versatile piece for special occasions or for every day. It also comes in a solid red color. I styled the arrow print chiffon tank top with the grey tulle skater skirt. The top is easy to pull over the head, feels lightweight, and runs true to size. How fun is the arrow print combined with the dainty lace trim? For winter, I'd add a chunky cardigan and tights/boots to this look. Catch up with me on Snapchat, Twitter, Instagram, and Facebook @thekeytochic for more shopping news and fashion inspiration.